Orphaned at six, he scrambled for survival in the markets of Surin. At fifteen, he became a boy soldier, trekking through the Cambodian jungle. His tumultuous experiences left him prone to self-loathing, but through learning to accept the kindness of others he surmounted his self-destructive tendencies. After a spell as a Buddhist monk, he was able to follow his true vocation, and, eventually, to save the lives of over 50,000 street children, through the charity he founded, the Foundation for Rehabilitation and Development of Children and Family (FORDEC). Meanwhile, French Canadian Chantal Jauvin is an international barrister. She met Dr. Amporn on a trip to Thailand, and on learning of his improbable journey she felt compelled to capture the life of a man who had the courage to survive and thrive against tremendous odds, and to define for himself what belonging really means. Chantal’s (ahem) prize for winning the Book of the Lunar Year was to write a guest blog about a charity dedicated to promoting literacy in Asia. Naturally enough, she chose FORDEC. You are doing something at this moment that at least 774 million people cannot do – read. I am doing something that the same number of people in the world cannot do – write. How could there be a more pressing matter to attend to than illiteracy? There is a Tibetan proverb which states: “A child without education is like a bird without wings.” Without wings, you eventually become a caged bird. However, if someone teaches you to read and write, then, you may soar. 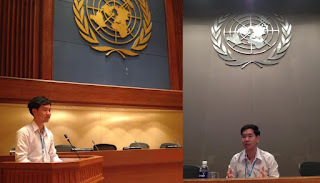 Dr. Amporn Wathanavongs, founder and current CEO of the Foundation for the Rehabilitation of Children and Family (FORDEC), dedicates himself to offering destitute children in Thailand the opportunity to learn to read and write. Boys and girls who would otherwise wander aimlessly in the streets of Bangkok or beg startled tourists for a few coins now spend their days in class instead. FORDEC’s goal is straightforward: to provide these children with a basic education in hopes that they will be admitted into high school. Every day, hundreds of children put on their white and red uniforms provided to them by the foundation and make their way to school in the suburbs of Bangkok and in remote villages in the countryside. Their days are filled with activities much like those taking place in primary schools around the country. The FORDEC children add and subtract numbers, they learn to read and write, and sometimes, if there is a visiting teacher, they even study English. At lunchtime, they receive a full meal prepared for them at the school. They share not only a bowl of rice, but laughter, too. If you chanced upon the school at lunchtime, you would be inspired to find a group of children being children. They laugh, tease each other, goad the teachers, pull the girls’ pigtails and cry when they trip and scratch their knee. In essence, they are granted the best gift of all: that of being allowed to be children. You will not hear them complain of the long walk to school. Those hours when they struggle to learn the Thai alphabet, spell a word and write it down allows them to forget the poverty which besets them at home. They leave behind the sorrow of a mother or father’s death because they could not afford adequate medication or the misery of their water-soaked shack during the rainy season. It is no wonder that they prefer spending their time at school. Pride, dignity and confidence flourish hand in hand with education. The children’s enthusiasm is contagious. Reading and writing engender a world of dreams, which come home with them every day as a sense of possibility. As they become older, their skills become invaluable to their families. 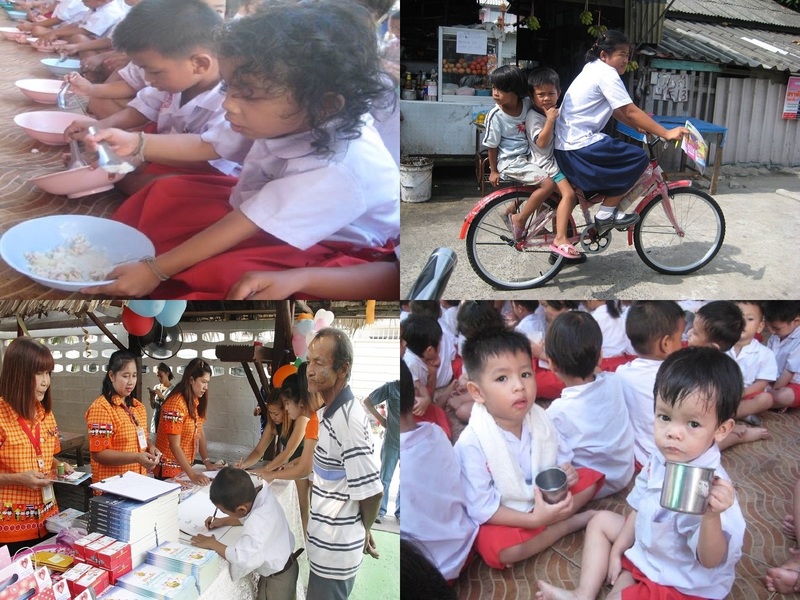 With the financial sponsorship of generous donors such as General Mills, Monsanto, Target, the Import Export Bank of Thailand and numerous private sponsors from the U.S., Canada, Italy, Germany and elsewhere, FORDEC continuously expands their programs, providing shoes for those who have long walks to school and bicycles for those who are even further away. What makes FORDEC so resilient? Their founder and CEO, Dr. Amporn Wathanavongs. He was not always Doctor. For many years, he was not even Khun (Mister) Amporn. Born in 1937 in Surin, a remote village of Thailand near the Cambodian border, he was orphaned five years later. He himself did not learn to read and write until he was 17 years old. He will never forget the indignities that he suffered as the “hobo boy” because he was illiterate. Even in the deep jungles of Cambodia where he was misled and then entrapped as a boy soldier, he endured the ridicule of hardened mercenaries because he could not even read or write. He vowed that he would learn. He vowed that he would help others learn. He vowed that one day, he would help others avoid the injustices perpetrated on people because they are poor and illiterate. Dr. Wathanavongs not only learned to read and write, but he became a tireless advocate for bettering the lives of destitute children through his work with the Christian Children’s Fund. When he was forced to retire, his work was not done. He founded FORDEC on February 14, 1998, just a month short of his sixty-first birthday. The results are tangible. This year, Sukrit Ratanadachasakool (nicknamed Top) one of the first boys to attend FORDEC, is about to graduate from university with a degree in international business. Top himself recognizes that without FORDEC, he would not be attending United Nations Youth Symposiums, let alone be dreaming of a career with the UN. Dr. Wathanavongs’ work is a testament to the power of literacy. Take a moment to watch this brief video of his life’s journey, and you will understand why educating destitute children has become FORDEC’s primary mission. For more information about FORDEC, please click as appropriate. 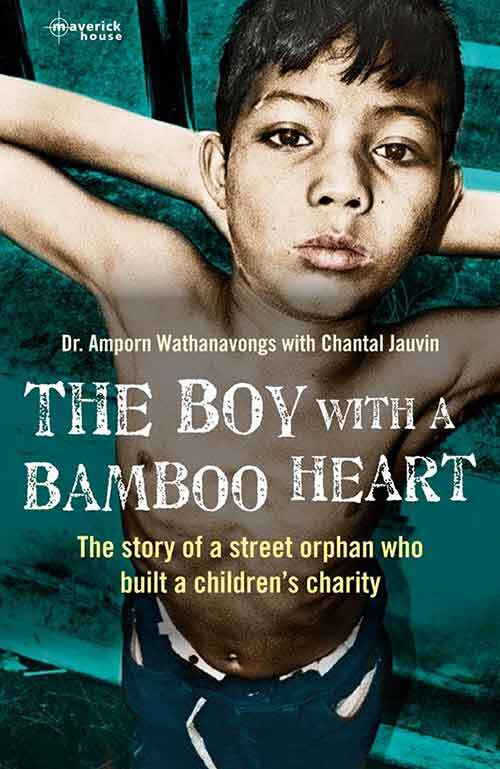 For more information about the The Boy with a Bamboo Heart, click here.